Ever wondered how to investigate ghosts and hauntings? What methods do real-life paranormal investigators use in separating truth from myth? How does the equipment work? What are all the tricks of the trade? 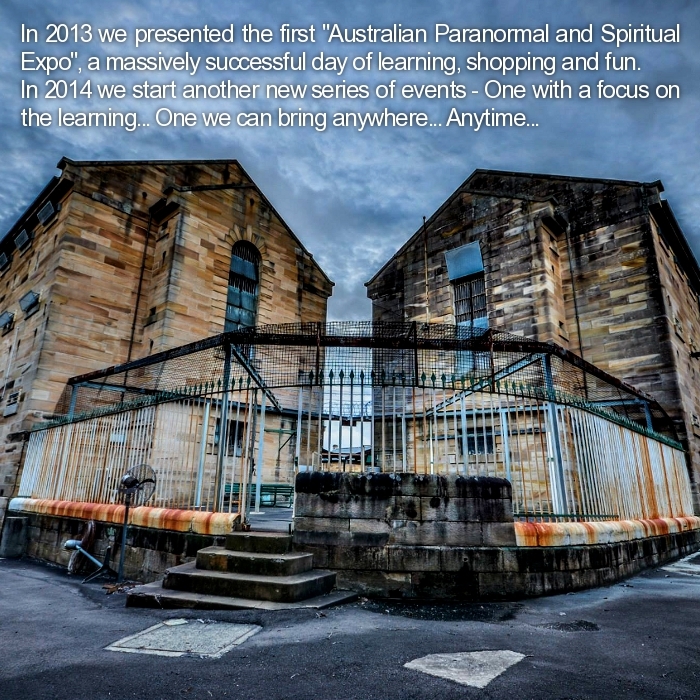 The people behind the Australian Paranormal and Spiritual Expo are bringing you this unique, 6 hour informative and fun workshop, focussing on the Ghosts and Hauntings side of paranormal investigation. Being held at Parramatta Gaol, this is aimed at being a practical, hands-on workshop for anyone who has an interest in the ghosts and haunting aspect of paranormal investigation. Learn by doing... all the basics incorporated into an interactive schedule designed for your enjoyment, as well as to increase your knowledge base. Want to know how APPI gets access to all the wonderful locations we do? We share our proposals and methods, and explain how we keep our clients happy for future visits and investigations. Lunch will be provided. No refunds will be given. - Meet in the visitors centre for a general discussion on paranormal investigation. Break into three groups to learn about different aspects of paranormal investigation and technical discussions, with a hands on approach to learning. Who is running this workshop? Ash has been investigating for approximately 15 years. He started off in the UFOlogy side of the field, and migrated to ghosts and hauntings about five years ago. He has investigated all over South Australia, Victoria and New South Wales as The Paranormal Guide, and conducts weekly investigations in his job as a tour guide. 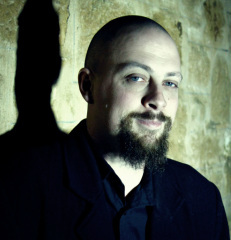 Ash is a regular correspondent on Dead Air Paranormal Radio Show, where he interacts with some of the 'paranormal greats' from across the globe. Nic and Peet have been running successful ghost tours and paranormal investigations at haunted venues since the beginning of 2012. They enjoy teaching people the tricks of the trade, and love thinking up new ways of experimentation. They are the Directors of APPI – Australian Paranormal Phenomenon Investigators and frequently organise and run ghost tours and paranormal investigation nights at the Casula Powerhouse Arts Centre, the Liverpool TAFE and Parramatta Gaol. In 2012 they were flown to America to take part in an episode of 'My Ghost Story'. Your ticket will be confirmed once payment has been made. Purchase your tickets via Direct Deposit using the information below. Reference:Your surname and number of tickets you purchased. Why does this cost so much? The charges for this paranormal workshop are in-line with the outlaying of expenses the Australian Paranormal and Spiritual Expo organisers have incurred in bringing this event to you. You are covered for entry into the Gaol, a building which is very hard to access otherwise, and allowed to investigate in many of the wings, including the oldest cell blocks. This workshop runs for 6 hours, and lunch and afternoon tea is provided. You will receive a unique, one of a kind workbook, and the use of our paranormal investigation equipment. Finally, public liability and indemnity is also covered, as well as the fees of security guard.